1. 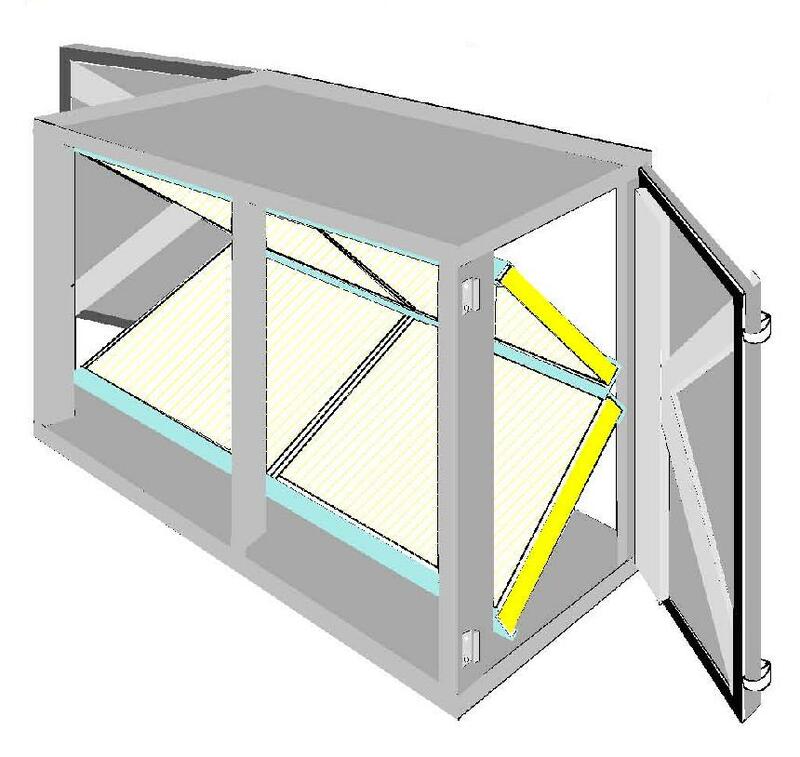 AirTracks "Angle-Lok" Filter Housing is used for "side" access applications for 2" or 4" thick filters. 2. The latch-down door compresses the filters together to ensure a tight seal. 3. Designed for factory gasketed filters for side-to-side sealing. 4. 16 gauge galvanized construction. 5. Formed 20 gauge galvanized filter tracks. 6. Metal-to-metal components sealed with silicone sealant. 7. The door uses aluminum hinges and quick acting snap down plated latch.